Very Very Vicky: Repurposing A French Door! Kim, my sister-in-law, is a great cook--the Hostess with the Mostest! 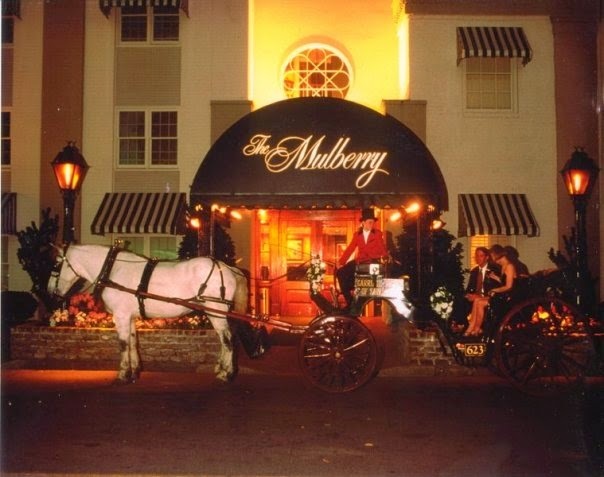 One day this summer Kim was walking by The Mulberry Inn, a hotel in downtown Savannah, on her way to work. The hotel had been purchased by The Kimpton Hotel and Restaurant Group and it was being remodeled into a boutique hotel. They were throwing out a french door so Kim asked if she could have it. The remodelers were happy for her to take it so she brought it home and made it into an outdoor table! She had Home Depot cut 2 x 4's into legs for the table and attached them with door hinges. Then she painted the table. All in all it cost $28 for supplies! Isn't this a cool idea for recycling a door? It pays to keep your eyes open for "trash" that you can turn into treasure! 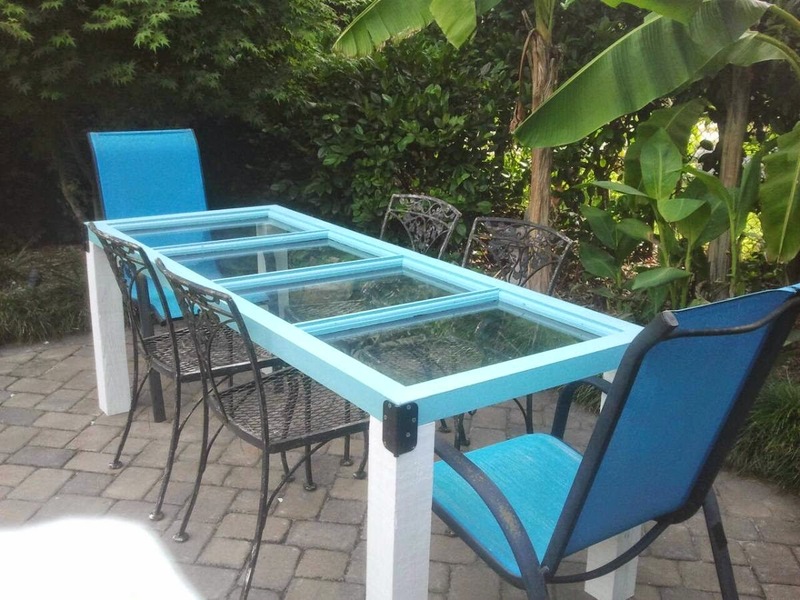 Kim is planning to have glass cut to cover the top and she wants to paint the wrought iron chairs as well. Great job! I have great experience of this hotel. I visited this hotel few months ago during my east coast trips with my family. We have been there for family vacations. This hotel is decorated very beautifully. We also found there very comfortable and relaxing rooms. Staff was friendly, helpful and well trained. They also provide the free wi fi internet with high speed to its visitors.